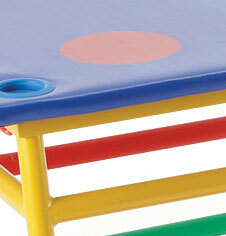 A brightly coloured PE and activity movement table with a safer padded top for junior users. Featuring marker shapes which act as ‘signals’ for placement of hands and feet, or invite a game of balancing on different body parts. The steel bars allow the Movement Table to be linked to traditional apparatus. Ribbed plastic colour coded coatings offer visual and textural signals for children with special needs. Size: 117 L x 85 W x 69cm H.
Price includes standard delivery on this item. Next day additional charge. Activ steel hardwood agility PE nesting stools. Steel stackable gym PE linking nesting tables. Steel stackable gym PE padded linking stools. Steel stackable PE gym movement tables. Activbar padded gymnasium movement table. 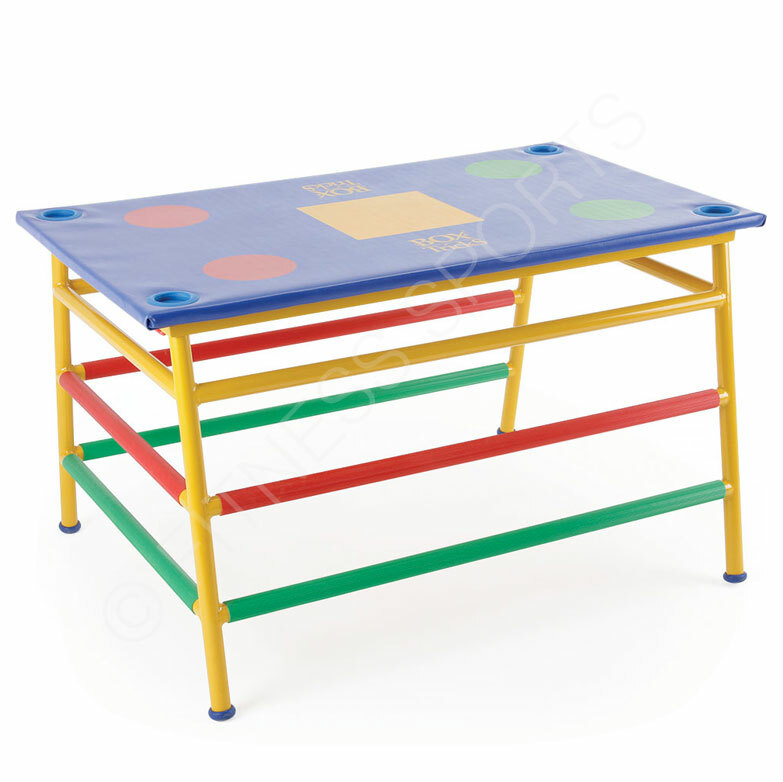 Steel hexagonal padded PE movement table. Steel PE agility stackable nesting trestles. Activ steel PE nesting stackable agility trestles. Lightweight LITA folding agility trestle. Steel key stage 1 PE equipment pack. Complete key stage 2 PE equipment pack.